In today's world video is everywhere. You can find them on websites, social media and the biggest place of all, Youtube. Now, most people who run a website or blog will use Youtube to host the videos on their site. And for the most part, that's fine. Well it's free... in a sense. Yes, Youtube will allow you to upload as many videos as you want and they'll even let you do it for free. You can then turn around and embed those videos into your site and life is grand. But why does Youtube let you do it for free? Well, we are talking about Google aren't we. It's because they will display ads for hosting videos for your site. And for some businesses that might be a problem. Because you may not want ads being displayed on your sales pitch video for your product right? Or what if you're running a paid membership site. How are you going to show your members videos and keep them from being viewed by the entire world? Wistia is a video hosting company. I personally heard about it from Chris Lema. And if you're in the WordPress world, then you've most likely heard his name or visited is blog. Here's a little clip from that article I read from Chris. If you’re a business that is trying to incorporate more video, you may want to check them out as well. And if you’re a blogger that’s getting decent traffic, and want control over (insert anything here), then Wistia may be the right choice for you too. Here's the gist of why you might want to use a service like Wistia. It all boils down to control of your videos. With Youtube, you don't have much control over your videos. Sure, you can make the videos public, unlisted or private. But when it comes to displaying ads on your videos, you don't have any control. And if you have videos you don't want shared with the world then Youtube is not the choice for you. While Youtube has the right price for their service, sometime you need something just a little more professional. Now Wistia does offer a free plan and for some people it might be all that you need. The free plan over at Wistia allows you to upload 3 videos and gives you 5gb a month in bandwidth for those videos. Plus your videos will be displayed in a branded player that says "Powered By Wistia" on a little tab that disappears when your mouse cursor isn't on top of the video. Wistia also comes loaded with a ton of cool features for your videos. From analytics, call to actions, email captures and more. 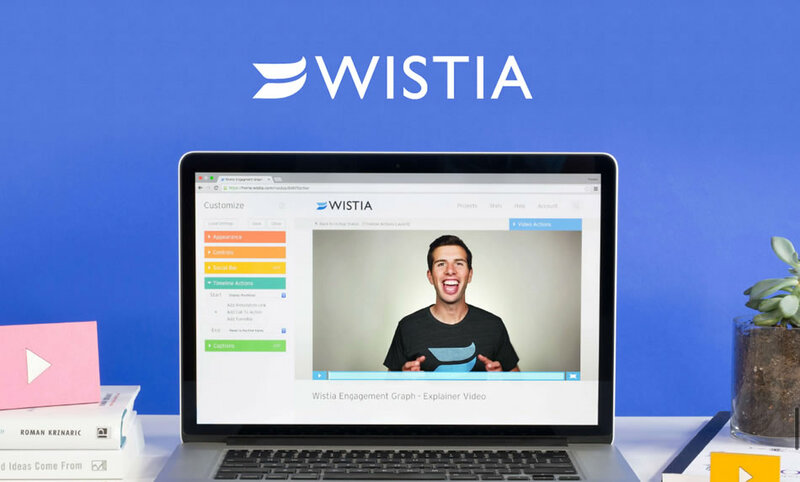 To get a better idea, you may want to check out 10 Reasons Why You Should Host Your Videos On Wistia over at Explainify. Wistia can be a little on the pricey side if you need to host a lot of videos. All of the prices below are monthly. Wistia used to offer several plans starting from $25 per month. However, it appears as though they have over simplified their pricing model. Personally I think this new model alienates a lot of small businesses from using their service as they used to have a $25 and $50 per month plan. And with their current pro plan running at $100 per month, this allows you 150 videos with 200gb of bandwidth. The old plan that ran for $100 per month allowed you unlimited videos with 200gb of bandwidth. YouTube is still the king of free video hosting. But if you need a more professional solution where you're not displaying ads or related videos to your customer, then Wistia is the way to go. Although a pricey way to go.